Scotland comprises the northern third of the island of Great Britain with an area of 30,414 square miles, or 19 million acres. The vast majority of the land - 11 million acres - is suitable only for rough grazing, with only 5 million arable acres. Three-quarters of the land is agricultural, with urban areas accounting for 3% of the total area. 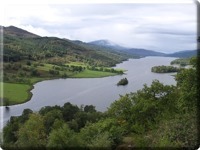 With over 30,000 fresh water lochs, 6,600 river systems, Scotland contains more than 90% of the volume and 70% of the surface area of fresh water in the entire United Kingdom, and has 7,335 miles of coastline. 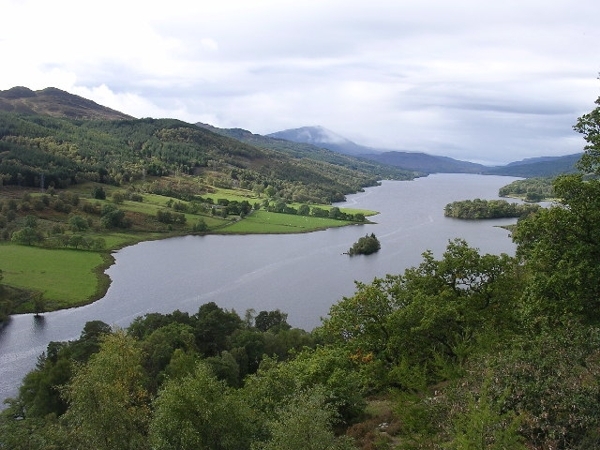 With over one million acres of freshwater lochs and rivers, Scotland is composed of as much water as it of woodland. Scotland's only land border is with England, and stretches 60 miles between the basin of the River Tweed on the east coast and the Solway Firth on the west coast. Its highest point, the summit of Ben Nevis in Lochaber, is 1,344 metres above sea level. Ireland lies only 20 miles from the southwestern peninsula of Kintyre, and Norway is just 190 miles east. The country can be divided into three geographical regions: the Highlands and Isles, the Central Lowlands, and the Southern Uplands. "To the southern inhabitants of Scotland, the state of the mountains and islands is equally known with that of Borneo and Sumatra: of both they have only heard a little, and guess the rest." The Highlands, also known as "the land of the mountain and the flood," lie to the north and west of the Highland Boundary Fault (traditionally known as the Mounth), which runs from Arran to Stonehaven. 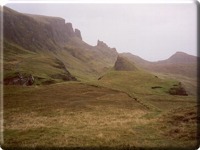 The region is rugged and mountainous, boasting the highest elevations of the British Isles. The Highlands are also full of freshwater lakes and lochs - in fact, no point in Scotland is farther than 66 miles from the sea. Historically, these abundant waterways served as the country's primary means of transportation. The Highland region is culturally quite different from the Lowlands, its ties closer to the Gaelic-speaking, Roman Catholic Celtic Irish than the English-speaking, Protestant Welsh and English. 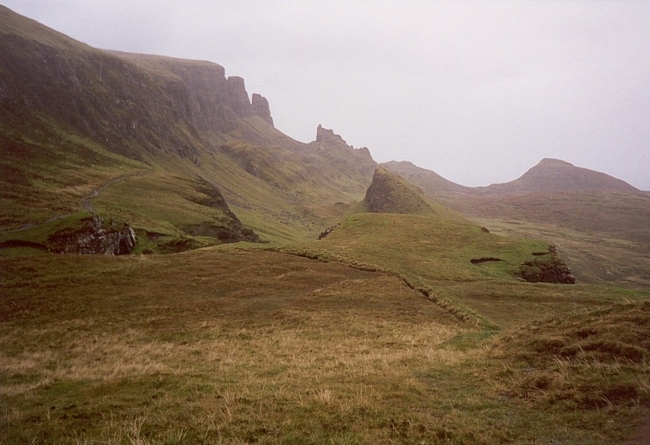 Now one of the least densely populated areas in Europe, the Highlands had a much larger population until they migrated and emigrated because of the Clearances, the Jacobite Risings, and the Industrial Revolution. Surrounding the Highlands are over 790 islands, which are divided into four main groups: Shetland, Orkney, and the Inner and Outer Hebrides. The Central Lowlands is a low-lying rift valley full of the coal and iron bearing sediment that fuelled Scotland's industrial revolution. Because of the region's rich mineral deposits, the majority of the country's population is gathered in the Lowlands, especially the cities of Glasgow, Edinburgh, and Dundee. The Southern Uplands is a remote 125 mile-range of mountains spread from Girvan to Dunbar. Made up of Dumfries and Galloway in the west and the Borders in the east, the Upland region is covered in rivers, forests, lochs, and hills. Scotland's climate is temperate, oceanic, and mercurial. Warmed by the Atlantic Gulf Stream, it enjoys much milder winters than Labrador, which is on the same latitude, but also has cooler, wetter summers. Rainfall varies across the country: annual levels in the western Highlands can exceed 80 centimeters, while the Lowlands may get less than 8 centimeters. Snow is rare around the coastal areas, but is more common in higher altitudes.